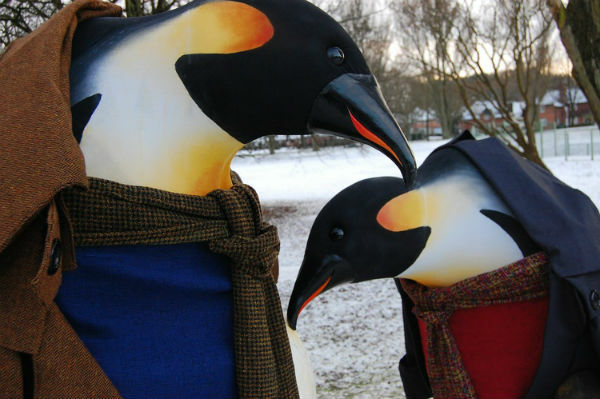 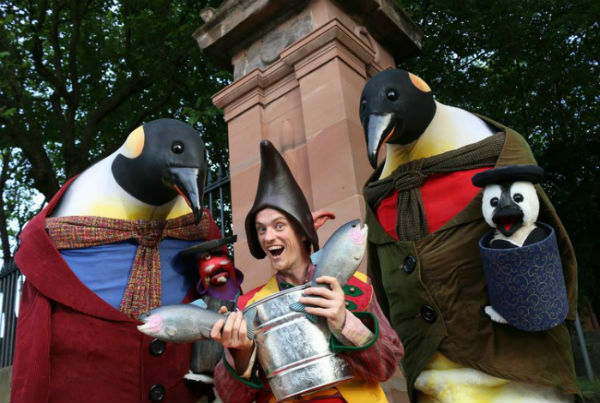 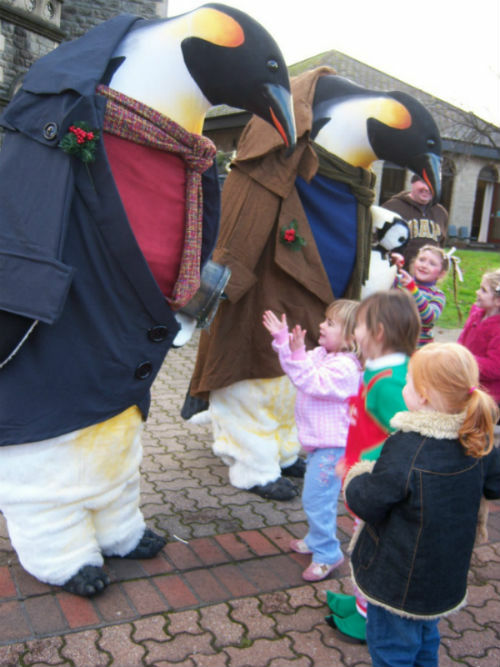 Penguins Abroad are street theatre walkabout act comprising of animatronic puppetry walkabout Penguins. 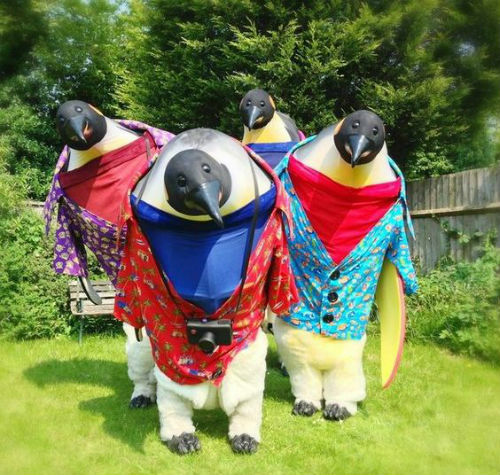 These Walkabout Penguins are inspired by the late Jim Henson, who always had a group of holidaying penguins in the back ground of any exotically set Muppet Show sketch. 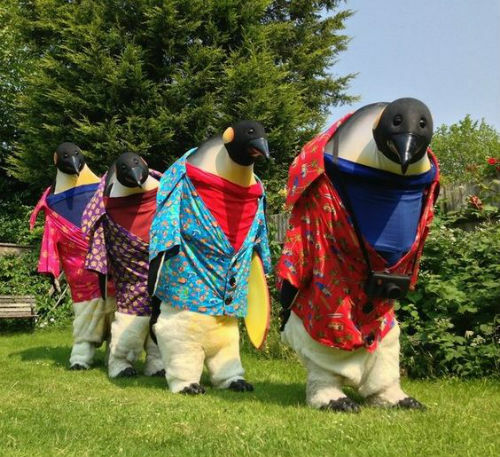 The Penguins Abroad Walkabout Penguins are available as a pair or in the attention grabbing full flock effect. 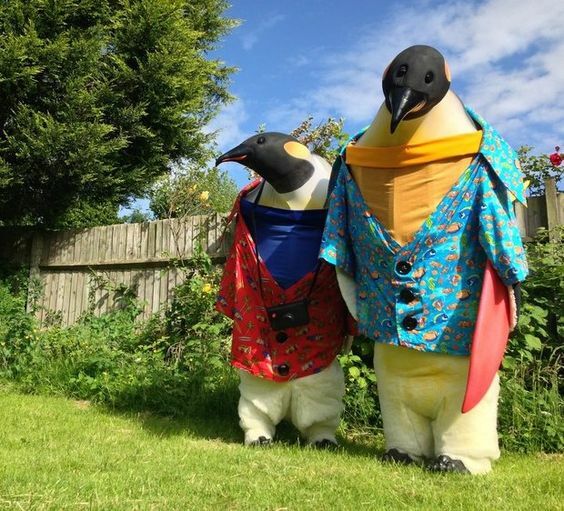 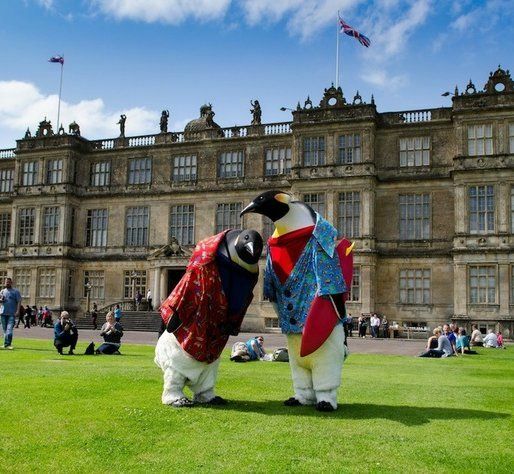 Complete with Hawaiian shirts, cameras, surf board and a ukulele, the Walkabout Penguins will waddle, nuzzle, purr and squawk their way round your event.